We have a range of different types of vending machine components for sale such as telemetry systems / remote monitoring systems, payment systems (note readers, coin mechanisms, cashless mechanisms). If you would like to buy a vending machine component please peruse these vending machine components available for sale at your leisure. 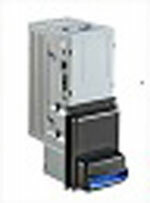 Enquiries to buy vending machine components or to get a quote to buy a vending machine component can be made by submitting a request via the online form on the appropriate vending machine component for sale webpage. Introducing the new GBA ST1-C Bank Note Reader designed for vending machines here in Australia! 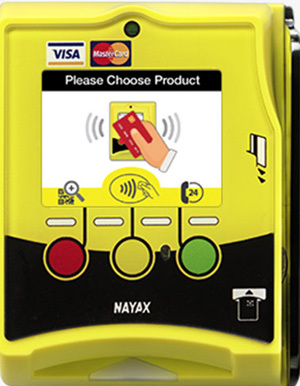 The Nayax Credit Card Reader with the VPOS Terminal or VPOST for vending machines in Australia. The Nayax VPOS Terminal can make your vending machines accept Cashless Payments via Debit and Credit Cards. Increase sales! We have Nayax Credit Card Reader for sale now. 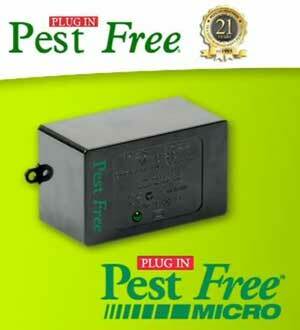 Introducing the new Pest Free Micro unit designed for vending machines here in Australia! The Pest Free Micro Unit is the newest member of the Pest Free family offering vending machine owners and operators or any owner of commercial machine equipment or manufacturers and users, the ideal solution to control any cockroach and rodent infestation of their machinery. Save money on repairs, replacement and possible electrical fires. Let alone the embarrassment of a cockroach in your customers coffee for instance. We are continually adding to our range of new vending components for sale, so keep an eye on this website.